1. My brain seems to have lost the capacity to remember details about people especially names, faces and background. Don’t ask me why but I can forget your name the moment after you tell me. And the moment after you remind me. Somehow, the neurons in my brain associated with names and faces has malfunctioned. Then I start to panic. Is this a church member? My client? My ex-schoolmate? My former colleague? My relative?!?!! Help!!! This is why I am grateful that my wife is not like me! She is my people recognition app. The problem is, I can’t bring her with me everywhere all the time. I am hoping that Google Glass will have facial recognition capabilities. Otherwise, please don’t get offended if I ask you, “Have we met before?“. 2. I have bad breath. I have this cavity at the back of my mouth which the dentist says he can’t do anything about. It’s a gap between my last molar and a wisdom tooth that didn’t grow. It is like a cave that provides safety for refugee food scraps. Despite all effort to keep it clean, food does get stuck in there and emits a foul smell as it rots. It’s just something I have to live with. And I guess, you have to live with too! So, if you want to get upset with me if I forget that I know you and my breath stinks, I’m sorry. That’s just who I am. Remind me of your name when you meet me. Say, “Hi David! I am…..”. Pinch your nose and breathe through your mouth. It makes talking to me much more bearable. If all else fails, just remember this. Even if I don’t know who you are. 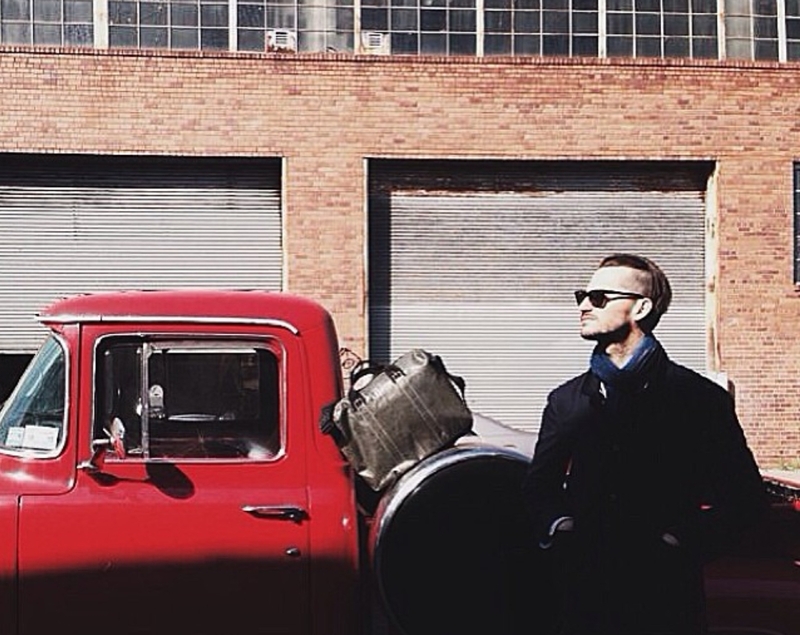 There’s a new uber bag in town. It’s limited edition. It’s hip. It’s tough. Say hello to the OOA General Supply bag. OOA stands for Out Of the Ashes. 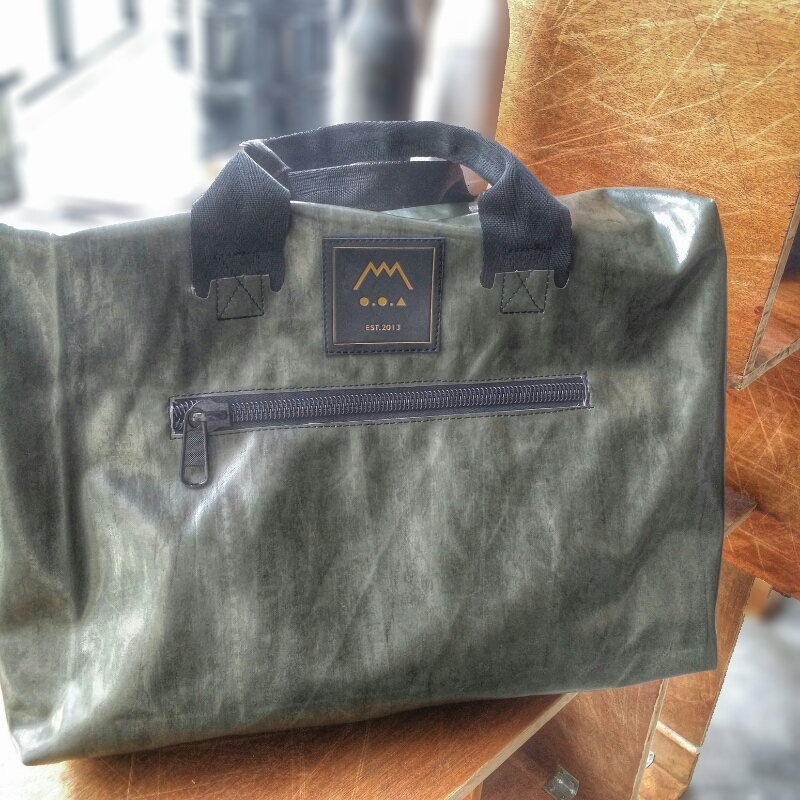 These bags are made from recycled canvas. No, not your sissy canvas. This is from canvas used on trucks. As a result, no two bags are alike. So, if you want to be different. Here’s your chance. Oh, and it’s not just for guys. 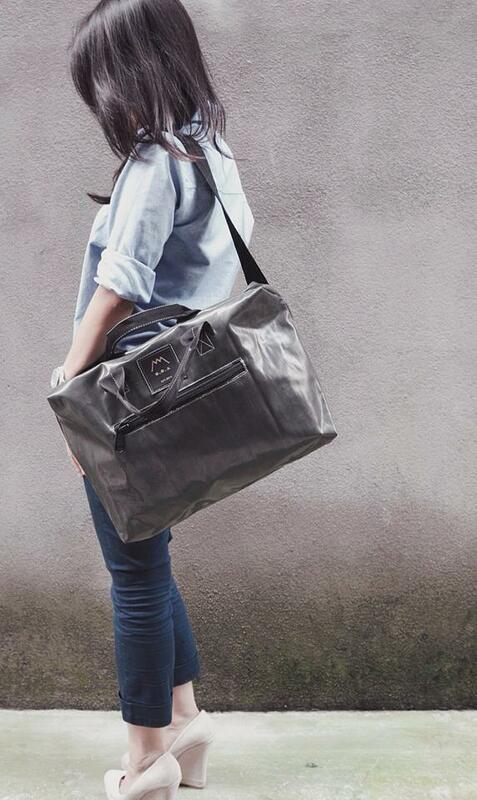 Girls should also carry some tough guy canvas around! This is my 3rd trip to Bandung and I must say it is still one of my favorite places in South East Asia. 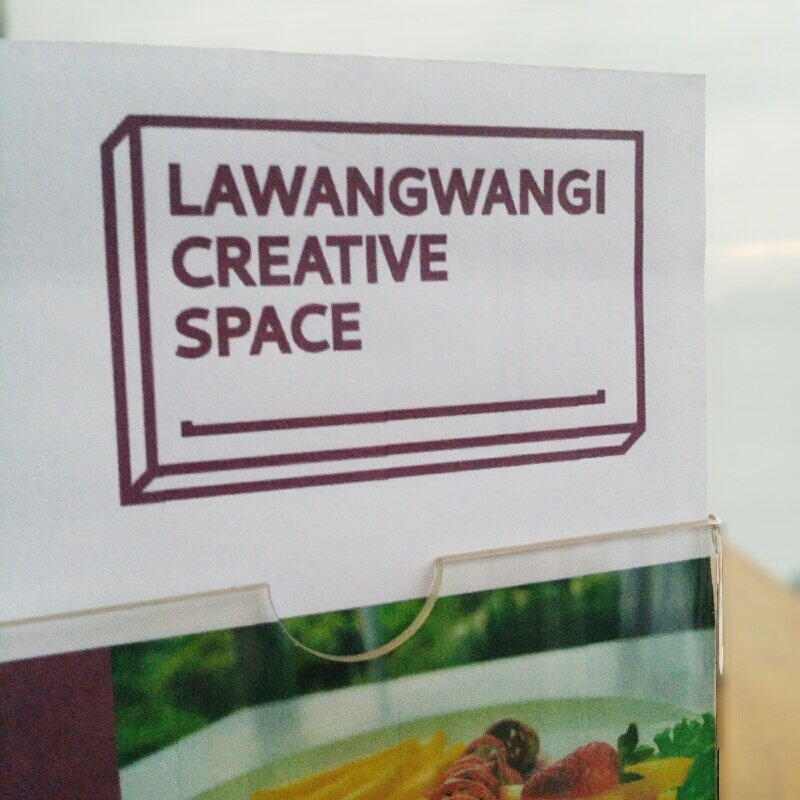 This time round our friend, Chriz Theo, recommended a place up in Dago called Lawangwangi. It is now my favorite place in Bandung! You can see from the featured picture above that the gate itself is an optical illusion. 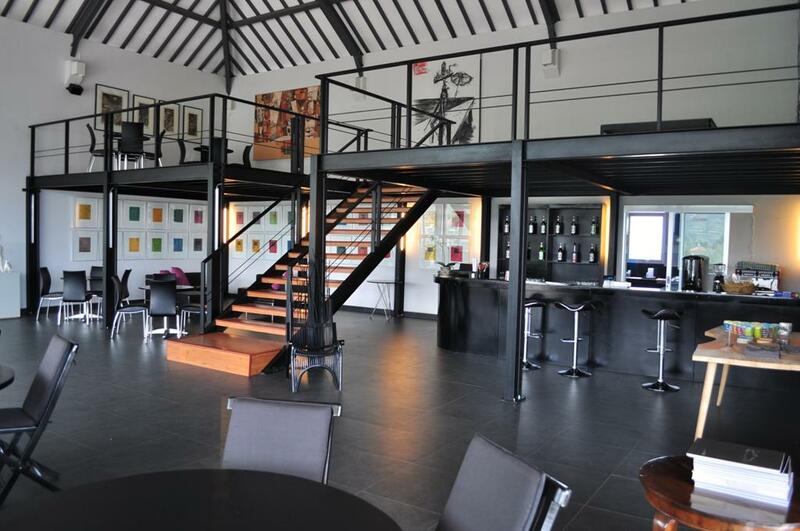 Lawangwangi is an art gallery and lounge. 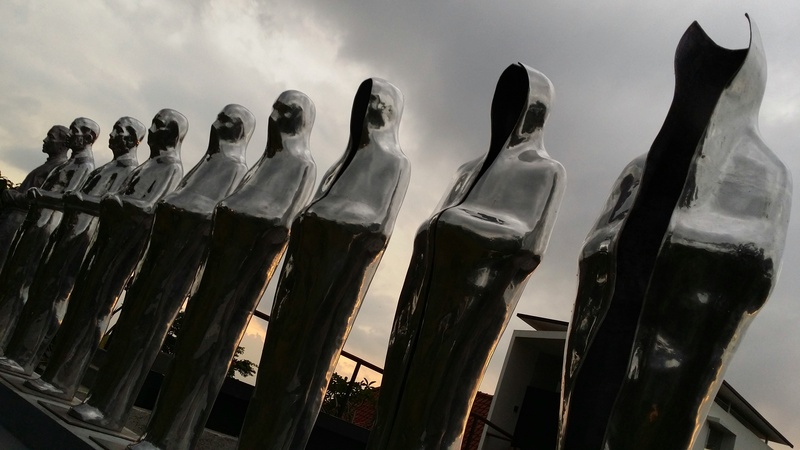 This is one of the cool outdoor art installations. The lounge is on the top floor of the building and it’s a really classy space filled with art installations. The best part is the deck that extends outside of the lounge. 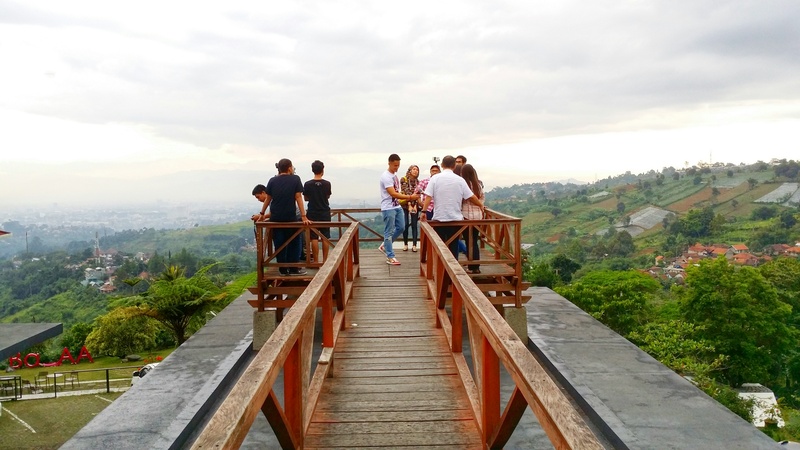 From here, you get a beautiful view of the Dago hills and the city of Bandung. This pic is taken from the end of the deck. I could stay here all day. We really enjoyed watching the sun set over Bandung. Click on the pic to see the whole 200 degrees panoramic view! If you are ever in Bandung, make sure you check out this place. I’m not sure how good the food is but the arty farty vibe and the view is worth it! The gate and the lounge photos above are taken from the official Lawangwangi FB page. I’ve been on an interesting journey in the past 1 year. I’ve been asking more questions than I normally do and I’ve been constantly surprised by many of the answers I’m discovering. One of the questions I’ve been asking is, “Why did Jesus come? What was His message?“. Ok, that’s actually 2 questions. But they are related. Let me ask you a question. Which part of the Bible do we normally go to find the answer to this question? Most Christians would answer, “The Epistles”. Yes, the letters in the New Testament. Specifically, Romans. Shouldn’t we find out the purpose and message of Jesus from Jesus Himself? The church generally only focuses on 2 parts of Jesus life. His birth and His death. Guess which days you see the most people in church? You got it. Christmas and Easter. What happened to everything in between the birth and death of Jesus? I came to the realization that all this while I’ve been missing something really huge. It’s always been there but I never saw it because I was filtering everything through glasses I’ve been given to wear. So, for the most part of 2013, I did my best to take off those glasses and listen to the words, ministry and life of Jesus afresh again. I tried my best to experience Jesus as though I had just met Him for the first time. I went through the Gospels – Matthew, Mark, Luke and John over and over and over again. Not just picking a few verses here and there. But going through each book from start to end. Taking in as big chunks as I could. I listened more than I read. It was almost as though I discovered a New Gospel! Well, not really. But a much fuller, richer, deeper, transformational, compelling Gospel! God’s kingdom is like a treasure hidden in a field for years and then accidentally found by a trespasser. The finder is ecstatic—what a find!—and proceeds to sell everything he owns to raise money and buy that field. And I would like to invite you to find it too. If it is at all possible, put aside all your preconceptions of why you think Jesus came. Take off the glasses you’ve been wearing all these years and try to see Him with fresh eyes. Start with the book of Mark. Read it through 2-3 times. Then do the same with Matthew and Luke. Then John. No time to read? Invest in an audio bible. Listen to it every day as much as you can. It is my prayer that you too would find this treasure hidden in the field. A treasure so great, you would sell all to buy the field! The original Cafe David blog was started in 2005! Wow! Seriously? Has it been that long? It eventually spun off 2 books on relationships. With the advent of Twitter and Facebook, blogging was no longer as popular as before. So why am I blogging again? Because I have a lot of things to discuss with you! The original intent of Cafe David was an online space where we could all hang out and talk about everything under the sun. We had some pretty good conversations then. This is my hope for Cafe David in 2014 and beyond: to spark off some meaningful conversations about life, love, faith and everything else! Come back and visit often!